Net neutrality public interest groups have announced plans to file a complaint against AT&T for blocking the iPhone's popular FaceTime application for some customers. The groups claim the new policy violates FCC Open internet rules. Free Press, Public Knowledge and the New American Foundation's Open Technology Institute released a letter stating their intentions to file a formal complaint with the FCC. It says by baring the video-calling service, AT&T violates a FCC rule the prohibits providers "from blocking any application that competes with the provider's voice or video telephony services." FaceTime is a feature on the iPad, as well as the iPhone 4, 4S, and the new iPhone 5, which allows users to call each other using video. When the app first appeared it was restricted to use only over Wi-Fi. But with the release of iOS 6, the feature can now be used over mobile networks. The groups claim AT&T is harming its customers with the new policy, especially the deaf and those who rely on the service to communicate with overseas relatives. AT&T announced last month that only users who subscribe to the carrier's new Mobile Share data plan can use FaceTime over cellular. The plan gives customers a single bucket of data that can be used by up to 10 devices. The block doesn't affect the application if used over Wi-Fi, only AT&T's network. Joel Kelsey, legislative director for Free Press, said the move goes against the principles of Net Neutrality, which says internet providers shouldn't favor some types of data over others. Kelsey likens the policy to an internet provider that bars users from streaming Netflix unless they also buy a TV cable subscription. Kelsey says if AT&T is allowed to block FaceTime, there is no telling what other apps it can block. "If they are going to block different sub-sections of subscribers to certain applications, there is no limit to what they can do," he said. "There is no stopping them to decide which apps fall in their plans and which fall outside their plans." 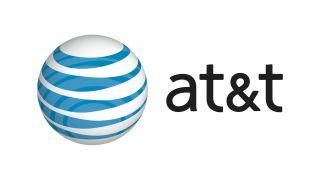 Though AT&T wasn't able to provide TechRadar with a statement at the time of publication, the company did respond to FaceTime criticism on its public policy blog. "The FCC's net neutrality rules do not regulate the availability to customers of applications that are preloaded on phones. Indeed, the rules do not require that providers make available any preloaded apps. Rather, they address whether customers are able to download apps that compete with our voice or video telephony services. AT&T does not restrict customers from downloading any such lawful applications, and there are several video chat apps available in the various app stores serving particular operating systems." We'll see how the FFC handle's the situation in 10 days when the advocacy groups are allowed to file a complaint after today's notice. There is no guarantee the FCC will enforce the Open Internet rules, which have had pretty mild penalties in the past. TechRadar will update this article if and when we receive comment from AT&T.